Drum Pulper is a large agitation tank that mixes raw materials with water to make pulp. the raw materials is mainly contains wood pulp, paper pulp or waste paper. the pulp consists of 99% water and is transported from the pulper to the material center where the filler and auxiliaries are mixed with the pulp according to the formulation. 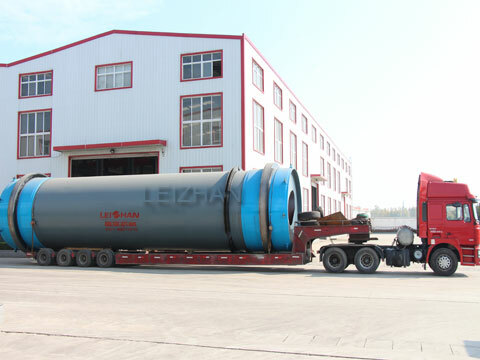 the large agitation tank is usually driven by a 2 or 3 Flander conical cylindrical reducer. Which Role Does The Drum Pulper Play? 1.Mainly used for continuous gentle pulping and coarse screening of waste paper under high consistency. Drum Pulper can continuous pulp and preliminary screen, simplify process. 2.Drum Pulper can gently pulp under 14%-18% high consistency to uttermost maintain the physical property of fiber. What Special Highlight For Drum Pulper Owning? 1.Low damage to impurities and high efficiency of deslagging reduce the following equipment burden. 2.Low energy consumption, reduce running cost, improve the competitiveness for per ton pulp. 3.Long pulping residence time, sufficient fiber relief, low rate fine fiber loss. 4.Few quick-wear parts, continuous pulping, low maintenance cost. We can offer different types of Drum Pulper, includes ZG2500, ZG2750, ZG3000, ZG3250, ZG3500, ZG3750, ZG4000, ZG4250. if you want to know more about this machine, please contact with us. email: paperproductmachine@gmail.com.